I enjoy a Western movie although I probably couldn’t pick John Wayne out of a line-up, but I am far more a fan of is immersing myself in the great outdoors and the wonder of nature from the safety and sanctity of a luxury, award winning resort. If you too like ‘roughing-it-luxury-style’ then you have to stay at the Sorrel River Ranch Resort & Spa in Utah, an authentic, 100% Old West hideaway with all the trimmings of a stylish, boutique resort. This red rock resort doesn’t just look like a scene from the movies, it is a scene from the movies with multiple Hollywood blockbusters being filmed in the area since 1949, resulting in silver screen epics like: Rio Grande, The Comancheros and Indiana Jones and the Last Crusade. 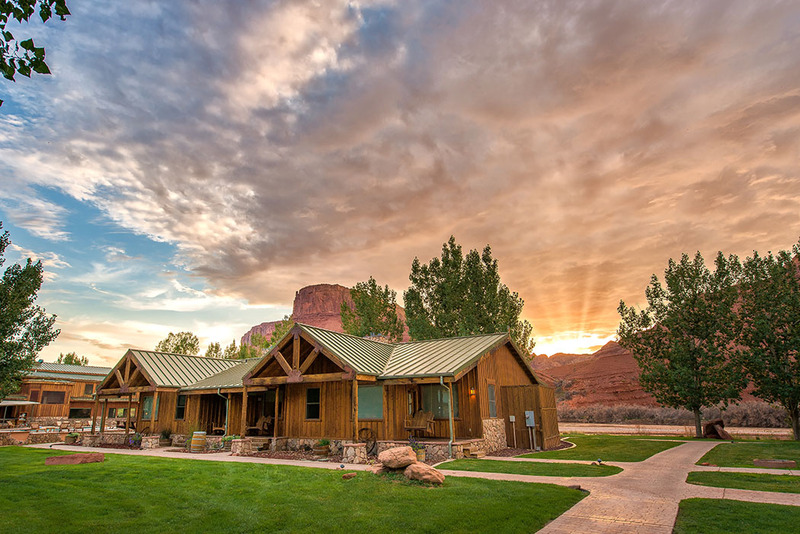 Hidden in the heart of the gorgeous, red rock wilderness and nestled against the banks of the Colorado River, this upscale 240 acre retreat lies just 17 miles from Moab, Utah and slap bang in the middle of the adventure capital of the West. The accommodation at the resort is not what you’d expect from being in Canyon Country, rather than a standard room, you stay in charming log cabins which offer a mixture of rustic style and luxury with opulent pine beds complete with handcrafted four-posts, cattle horn wall hangings; artsy barbed wire chandeliers and more oak than you would see in a forest along with all the modern amenities you would expect in this level of resort. There are 58 guest suites at the ranch ranging from Mountain-View Suites which overlook the red rock formations of Professor Valley and the La Sal Mountain Range; River-View Suites with breathtaking views of the Colorado River from your own private deck; Balcony Suites which feature a giant balcony overlooking the Colorado River to the Family Suites with separate sleeping areas and bi-level layouts. 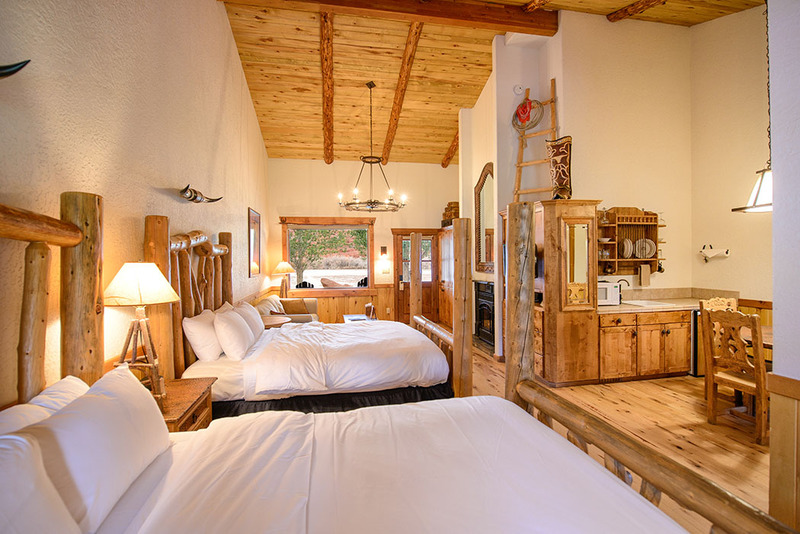 All the suites come with one king or two queen beds, a mini-refrigerator, microwave, and dining area combined with classic Western touches of hardwood floors and cabin-style furnishings. Larger suites have the additional benefits of oversized glass showers and claw-foot hydrotherapy bathtubs, larger living areas, kitchenettes, extra bedrooms and multiple bathrooms. 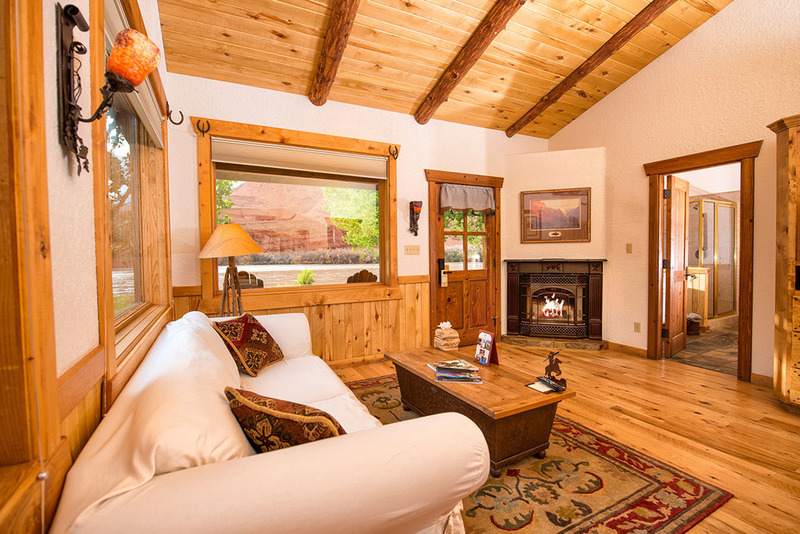 If you are visiting as a large group you can also book The Ranch House, a spacious 2,000 sq.ft. home with three bedrooms and three bathrooms. Room Tip: If you’re staying in a suite, choose a River View Suite as you will wake to the gentle sound of the water gushing through the canyon while the cool morning breeze rustles through the porch and after a hard day exploring you can relax in your own private bathtub while you watch a hot pink sunset sinking over the Colorado River – simply wonderful! The Sorrel River Ranch Resort & Spa offers several on-site dining options. The highly regarded River Grill Restaurant, Southern Utah’s premier fine dining establishment with spectacular panoramic views over the stunning red rocks, creates some beautiful looking and delicious creations incorporating the distinct flavours of Utah along with their very own fresh herbs grown in the all-natural ranch garden. 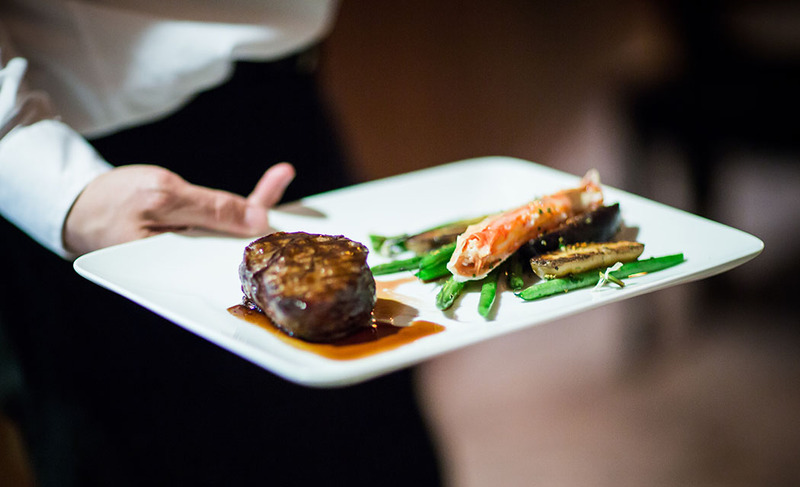 Dining Tip: Try the Sorrel River Signature Onion Soup and the Grilled Cowboy Steak – it won’t disappoint. If you’ve planned a day packed with adventures the team at the ranch are more than happy to accommodate with a ‘dining on the go’ boxed breakfast or lunch which includes a range of treats like: pastries, breads, nutrition bars, sandwiches, fruit and juice. Alternatively if you want a little more privacy and time in your suite then you can enjoy room service straight from the River Grill. The resort comes complete with its very own boutique spa (not very Ol’ Wild West! ), a serene escape, perfect to relax in after a hard day on the trails. 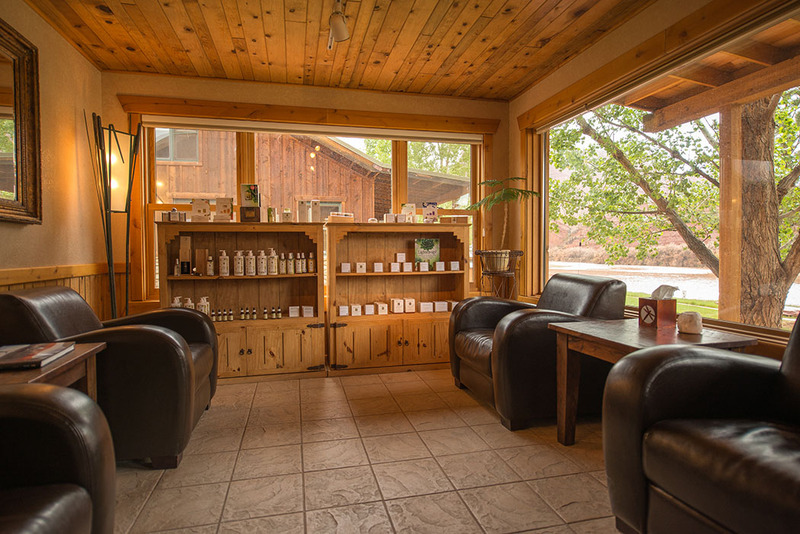 You can enjoy a range of facial and body treatments overlooking the Colorado River while you senses are met with calming sounds and the scent of aromatic herbs. Spa Tip: Try the Colorado River Stone Massage, it’s really rejuvenating and relaxing. Sorrel River Ranch Resort & Spa is located in the ultimate destination for an abundance of outdoor activities all year round, allowing you to totally escape and forget your usual 9-to-5 grind. 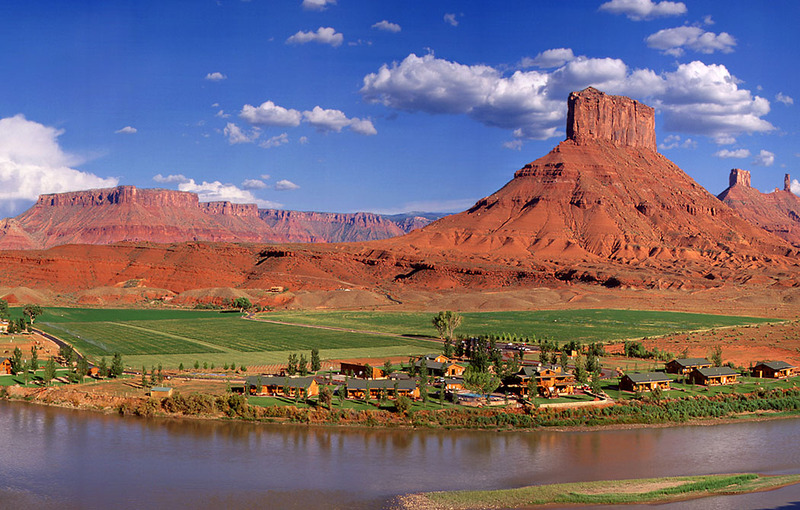 The Ranch offers river rafting right on your doorstep as well as morning yoga, hiking and biking trails, limitless photographic opportunities and it’s also close to many Moab attractions like Canyonlands, Arches National Park and many other state parks and off-road terrains. 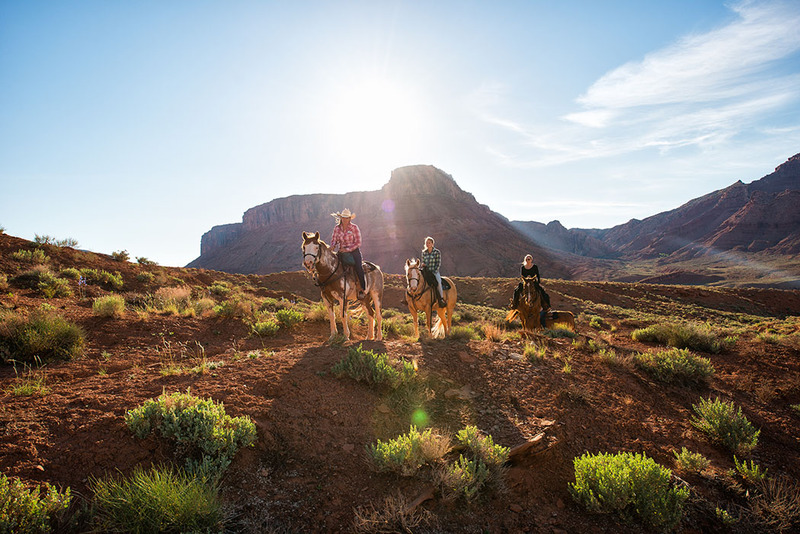 Depending on the season of your visit you can also enjoy ATV rides, horseback riding with authentic, friendly wranglers (the resort even has ponies for younger children), rock art tours, hot air ballooning, scenic road cycling and golf at the scenic Moab Golf Course. With its excellent one-of-a-kind cabins, spectacular views, therapeutic spa, gourmet dining and riverside pool, this resort really is the point at which luxury meets adventure. Join the likes of Bill Gates and Warren Buffet who chose Sorrel River Ranch as a base to explore this beautiful red rock country.